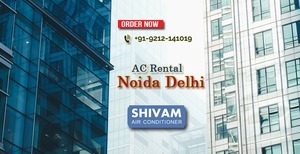 Shivam Air Conditioner is an established service provider in AC rental. Need an AC for a while to beat the heat? New to the city or moving out soon? Choose from a range of Window AC's available on rent from various brands like Samsung, LG, Voltas, Hitachi etc. Give us a call and we will deliver everything at your doorstep!